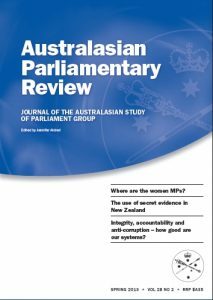 Report from Workshop 2: In what ways can opposition parties encourage executive accountability to Parliament? Report from Workshop 3: How can public servants’ accountability to Parliament be improved? Report from Workshop 4: How can the independence of Parliament from the Executive be enhanced? Report from Workshop 5: How can agencies (auditor-general, ombudsman, anti-corruption commissioners) be more effective?